Ancient Spring comes into play tapped. T Add U to your mana pool. 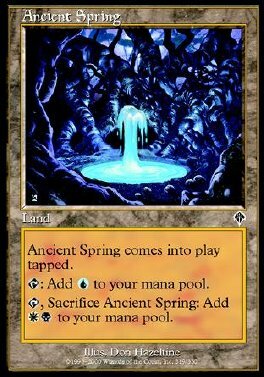 T, Sacrifice Ancient Spring: Add WB to your mana pool.